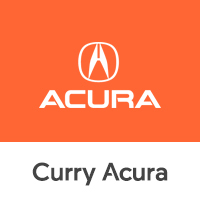 If you’re looking for the best opportunity to get more for your vehicle and possibly trade up, I’m excited to tell you about Curry Acura’s Vehicle Exchange Program! Many customers have been able to upgrade their current vehicle while keeping their payments the same or close to what they are currently paying. Odds are we can get you into a new vehicle with little to no money out of pocket, saving you money, gas, and repairs. If you are interested in taking advantage of this unique opportunity, please complete the form to the right and one of our Sales Professionals will contact you shortly.